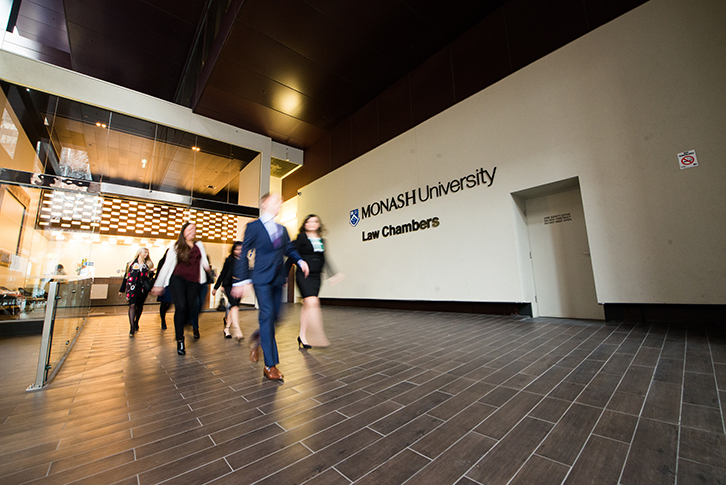 The Monash Law City Campus is a stunning learning environment created for our Monash Law Masters and Monash JD programs and is situated in the heart of Melbourne's legal precinct. Located at 555 Lonsdale Street, the city campus sits near the bustling intersection of Lonsdale and William Streets, home to the Supreme Court of Victoria, County Court of Victoria and Melbourne Magistrates' Court. It is nestled between Owen Dixon Chambers and the Office of Public Prosecutions Victoria and is a short stroll to the Commonwealth Law Courts and the Children's Court of Victoria. ​The Facility provides substantial space for both staff & students with high quality teaching facilities and quiet study areas. Student amenities include a library node, a multi-purpose lounge and a kitchen, all conducive to creative and independent learning. Interested in our Monash JD or Monash Law Masters program?